Package contains 2 Motor Filters and 2 Cassette Filters. Fits Eureka Series S4180, 4380, 4480, SC4580, 5190 upright vacuums cleaners. 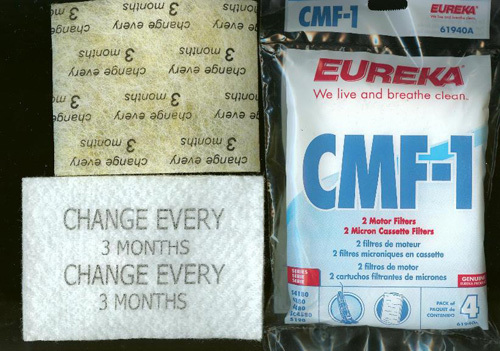 For optimum performance replace filters every 3 months. These are genuine Eureka filters. CAUTION: Damages caused by the use of non-genuine Eureka parts are not covered by the Eureka Limited Warranty.